When it comes to fly fishing trips and vacations, it is always helpful to fish alongside a veteran who is familiar with the area; in this case, Bart Doig is just the veteran you are looking for. 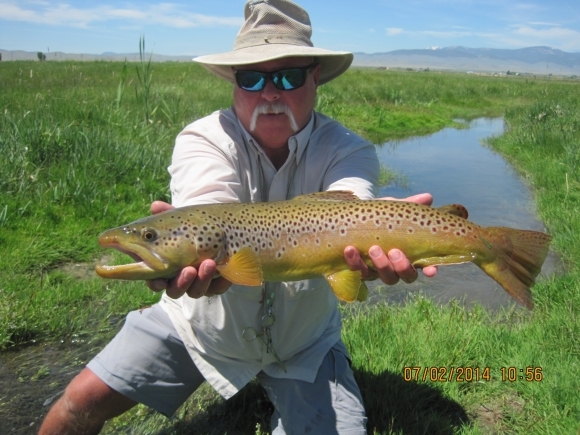 A native of Montana, Bart has made the decision to dedicate his time to lending his assistance and expertise to clients on fly fishing trips. When he is not acting as a fly fishing guide, he searches southwest Montana for the largest trout he can find. Bart has been an integral member of the Healing Waters team for more than a quarter of a century. If you have any questions about fly fishing gear, lodges, or vacations, Bart can always provide you with the answers you need.